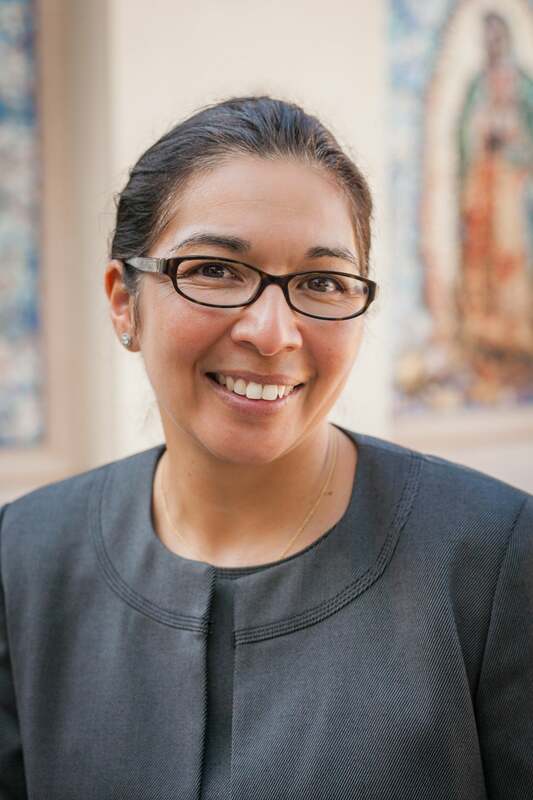 Sonya Arriola is President of Sacred Heart Nativity Schools, two Catholic, Jesuit middle schools that serve low-income students in the Washington neighborhood near downtown San Jose. Sonya graduated with Honors from Stanford University, received her Master’s in Education from Harvard University, and completed two additional years of post-graduate study at the University of California, Berkeley. Her post-graduate work focused on Latino adolescent immigrants and predictors for their academic success. Sonya has extensive experience working with first generation college bound, low income students and families and most recently worked at Bellarmine College Preparatory in San Jose. She is bilingual and bicultural, and her educational experience mirrors that of her students, as she also was a first-generation college-bound student. Sonya has a strong history of non-profit board service. She currently serves on the Board of Cristo Rey San Jose Jesuit High School, served as a member and officer of the board for her high school alma mater, The Branson School (Ross, CA), served as a board member of MACLA (Movimiento de Arte y Cultura Latino Americana) in San Jose, and currently serves on the Stanford University Athletic Board. She and her family are members of St. Martin of Tours Parish and live in San Jose.